Dr. Ida P. Rolf (IPR) was born in 1896 in New York and she grew up in the Bronx. 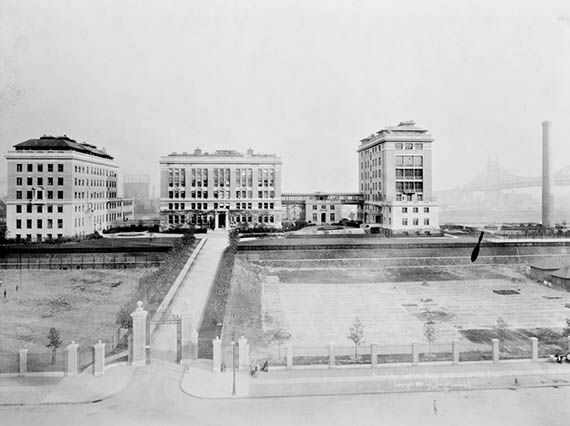 IPR graduated from Barnard College in 1916, during the middle of World War I. She earned her Ph.D. in biological chemistry from Columbia University, specifically from the College of Physicians and Surgeons. She went on to teach at Rockefeller University until the late 1920s when she had to leave her academic posting in order to manage the family business after her father’s death. IPR’s development of the touch therapy she called Rolfing® Structural Integration (SI) was born from experience and transitioned into the clinical. She had suffered chronic pains and body ailments which motivated her to actively find relief; she recovered by studying with yoga practitioners, osteopathic physicians, and homeopathic practitioners. From her experience in her own body, she was convinced that the human form can recover from soft-tissue injury with active soft tissue interventions. She observed that her own optimal function returned when she lengthened and balanced herself in the gravitational field and these principles held true for all people. IPR found a gifted music teacher for her young children, but the music teacher had fallen and could no longer play piano because of her injuries. IPR offered to help her recover her playing abilities in trade for the teacher to work with her children. By moving her soft tissue back into place where it belonged and supporting lengthening of the musician’s whole system one step at a time, the piano player enjoyed her art again. IPR continued doing touch rehabilitation work with people in her community who were seriously injured. One person had sustained life changing injuries in childhood by a poorly timed jump into a pool. IPR met her when she was in her fourties, but this person had to be physically assisted in all activities of daily life since she was 8 years old when the accident happened. It took some time and eventually this woman acquired complete independence from the touch manipulations made by IPR. More and more suffering people appeared on the doorstep of IPR and she continued to offer her educated hands in the service to the people who needed the help. IPR recognized gravitational organizing patterns about human structure that distinctly supported the recovery of people in chronic pain; she discovered touch therapy principles that accelerated the innate recovery processes in people’s bodies. Her work acquired a reputation of helping people who had not been helped by any other practitioners. People suffering many types of pain lined up to experience Rolfing® Structural Integration. She worked and taught all across the US, Canada, and Europe; teaching that fascial touch therapy focused on gravitational alignment could help a person become more balanced, and that a balanced structure heals itself. By the 1960s, IPR had developed Rolfing Structural Integration as a 10-session series that systematically addressed the whole human structure. The touch interventions were based on visual evaluation and logical anatomical deductions of individual differences with each client. People were evaluated while standing in their underwear. IPR would require her students to describe their three-dimensional uniqueness in great detail. Rolfers™ became the practitioners who could use their hands to help lift up and iron out the parts of people that had become curled forwards, or bend sideways over time; kinked after that car accident, or limping from that broken ankle, or just in pain from the general malaise of chronically collapsed skeletons. In 1963, IPR self-published “Gravity: An Unexplored Factor in a More Human Use of Human Beings”. This benchmark publication described the philosophy of Rolfing ® Structural Integration anchored in the logic of gravitational evaluation of all human anatomy structures, and the functional relationships that make up individual differences. IPR’s model is based on the laws of mechanics, that upright structures must have their masses (pelvis, thorax, head) balanced along the gravitational line in order to be stable. It follows that the tensional forces in all the soft tissue (myofascial, vascular, neural, visceral etc) are giving the bones their respective positions. Touch interventions can help a person find their ideal gravitational line where the blocks of the body are no longer being dragged downward; gravity flows through a balanced structure with ease and this newly balanced person experiences sensations of lightness. IPR started the Rolf Institute of Structural Integration (RISI) in 1971 in Boulder Colorado with a well-established faculty and curriculum teaching Rolfing® Structural Integration. She attracted gifted faculty members with her innovative ideas and they worked alongside her to advance the model to accurately describe what is happening in the client’s body when a Rolfing session is taking place. IPR was committed to producing peer-reviewed evidence and reproducible interventions from her one modality of Structural Integration. In her later years of life, she continued to work tirelessly to communicate and teach the principles of Rolfing Structural Integration, producing this whole new category of professionals doing manual therapy. At the time of her death in 1979, she had produced a large group of outspoken faculty, all committed to advancing Structural Integration as a profession, to help people recovering from chronic pain states, and elevating people towards their peak performance in sport and art. The living legacy of IPR is found in the hands of each Canadian Rolfer™; they deliver educated touch therapy rooted in the study of anatomy, physiology, biomechanics, neurology, and beyond. Each Canadian Rolfer brings their own personal education focus and applies it to the professional certification they earned at RISI. Like IPR, many Canadian Rolfers anchor their work with a study of yoga, some apply hands on experiences from manual trades such as carpentry, and many have academic foundations; making each Rolfing session in Canada a unique experience. Each Canadian Rolfer has the same commitment: to study the work of IPR, her models, her mastery of touch interventions, and her commitment to blending experiential and evidenced-based manual therapeutic practice.